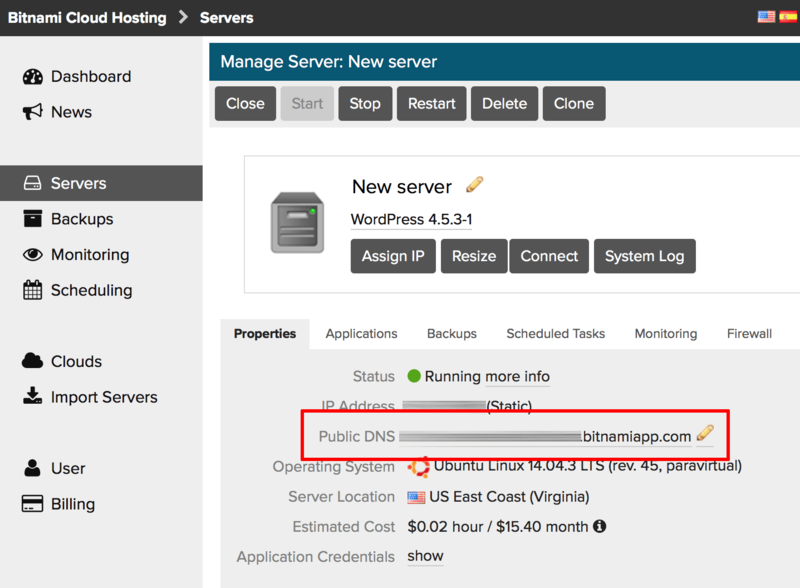 On the resulting page, navigate to the “Properties” tab in the lower panel and click the pencil icon that appears next to the “Public DNS” field. TIP: You can also perform this action from the “Applications” tab in the lower panel by clciking the the pencil icon that appears next to the “Application” field. 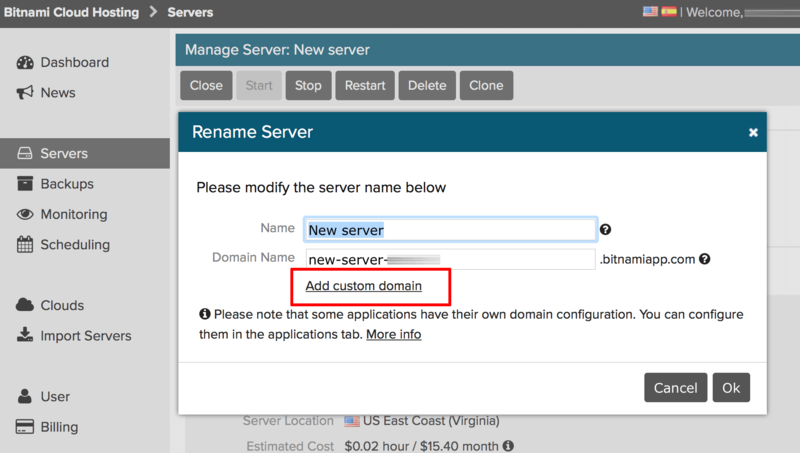 In the resulting dialog, click the “Add Custom Domain” link. Specify the custom domain name and click “Ok”. 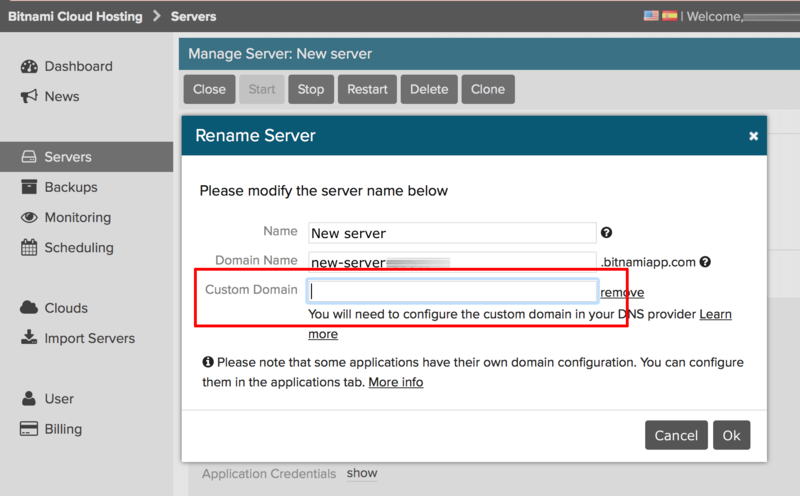 NOTE: If you change the main server domain name (for example, from demo-server.bitnamiapp.com to demo-server-123.bitnamiapp.com, then the application domain configured using “Prefix” and “Subdomain” strategies will also be updated. Refer to this section for more information.